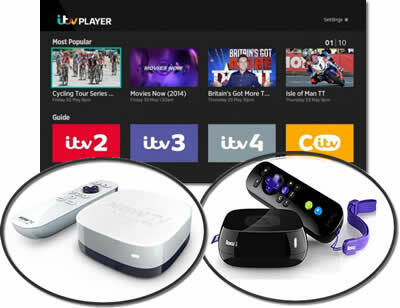 The ITV Player service which offers free catch-up programming has expanded to offer complete season and single TV show rentals. The new beta service has a new tab called popular rentals offering a chance to revisit the ITV archives. The new feature will let viewers rent from around 1,000 hours of TV show content with no ads from titles that include Cracker, Secret Diary of a Call Girl, Rising Damp, The Only Way Is Essex, Hammer House of Horror and Stingray. Rental can be per episode or for a complete season. For example to watch Rising Damp costs £0.49p per episode or the complete season of 8 episodes for £1.99 which saves on the outlay needed.Once purchased users get 30 days to watch the show or 3 months to watch a season. The new ITV Player update is available for computer users only for now, although it makes sense that other platforms will get the update soon. The original catch-up TV content will still be free to watch and some of the on-demand stuff also offer free sample episodes to whet the appetite. That is not all though, the ITV Player will soon trial show premieres which will be available to stream before airing on ITV channels, and additional catch-up viewing time will be available for registered users. In one of the more unusual forms of network rebranding, free-to-air channel ITV1 are planning to drop the number ‘1’ from their title and reverting back to ITV, seeing the upcoming change as a way to freshen up their on-screen presence. The channel, which changed from ‘ITV’ to ‘ITV1′ in 2001 (to help differentiate from the then-newly launched ITV2 channel) plan to revert back to their former name alongside a number of other ‘rebranding exercises’. 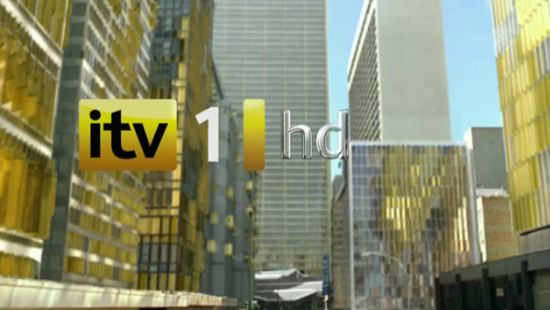 The name change will also cover the timeshift and HD channels directly associated with the rebrand (which will be named as ITV +1 and ITV HD), while the three variations will also remain on their current respective terrestrial channels (#3, #33, and #103 on Freeview). While the ITV digital terrestrial channels (ITV2, ITV3, ITV4 and CITV) are not going to be re-named, all channels under the ITV banner are set for new logos (with ITV1 dropping their current emphasis on yellow), while the pre-show ‘ident’ clips are also set to change for all stations. While the network go about trying to get people excited about what will be seen by a large majority as ‘just a paint job’, ITV ‘group marketing and research director’ Rufus Radcliffe is in charge of making the changes happen, as he is noted as the man behind the ‘relaunches’ of More 4, E4, and the current logo of rival commercial broadcaster Channel 4’s current logo. In line for their first major renovations since 2006, ITV are already claiming that the plans will not be implemented until January, with reports suggesting that the delay is due to not wanting to clash with the current series of reality show The X Factor, which ends in December. Are they really trying to imply that their audience would be frightened and confused by the channel logo changing mid-way through their highest-rated series? Fresh from the recent launch on Android devices the ITV player catch-up TV app has now been released on iOS devices. Available free from the iTunes Store, the app lets viewers watch 7 days of content from ITV1, ITV2, ITV3 and ITV4 on iPad, iPhone and iPod touch. Like the android app, the ITV player works via Wi-Fi only and has no 3G option. Robin Pembrooke, the MD of ITV Online and OnDemand said, “I’m genuinely thrilled to be launching our ITV Player app across the Apple family of devices just in time for our customers to be able to catch up on what promises to be some amazing performances at this year’s iTunes Festival on ITV. The iPad has had the BBC iPlayer app available for an eternity and even channel 4 have released their 4oD app before the UK’s largest commercial network. So it is about time the app appeared. ITV are promoting their content across multiple devices and this move adds the biggest mobile market at this time. You can download the iPhone, iPad and iPod app from iTunes now, you must be UK based to run it. The android market has got a new catch-up TV app from the UK’s largest commercial TV broadcaster, ITV. The ITV Player app can be downloaded now from the android market for free. The app runs on android 2.2 and above, that is both tablets and smartphones. 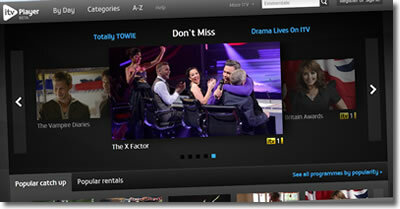 Users can watch seven day catchup for the whole selection of ITV channels, ITV1, ITV2, ITV3 and ITV4. Viewers can search for shows using the thumbable programme guide, search via channel, or use the search feature. And like iPlayer, it has a recommended section as well. The streaming quality is good, but not quite as good as aformentioned iPlayer on android, and it only works via Wi-Fi, but other than that it’s a great addition for android TV lovers. The ITV Player app needs Adobe Air to run and you will be promted to download on first run. The app is only available for UK viewers and an iOS version is coming later this year.